Participating in inter-faculty competitions in different fields of practice at the national and international level is a great challenge to students. The student teams are coached by professors and teaching assistants and they have achieved notable success in the past. Willem C. Vis International Commercial Arbitration Moot is one of the world’s largest and most prestigious moot competitions, held annually in Vienna. The Vis Moot is organized by the Association for the organization and promotion of the Willem C. Vis International Commercial Moot and sponsored by numerous institutions worldwide, such as UNCITRAL, International Chamber of Commerce, American Arbitration Association, The London Court of International Arbitration, Swiss Arbitration Association and the like. The goal of the Vis Moot is to “foster the study of international commercial law and arbitration for resolution of international business disputes”. The problem for the Moot is always based on an international sales transaction that is subject to the 1980 UN Convention on Contracts for the International Sales of Goods. The Moot centers on a simulation of international commercial arbitration before which a dispute arising out of the sales contract is being resolved. The procedural issues of arbitration are also discussed and usually resolved by the application of the UNCITRAL Model Law on International Commercial Arbitration. The Foreign Direct Investment Moot Competition is a student competition annually organized by the Center for International Legal Studies (Salzburg, Austria), Suffolk University Law School (Boston, Massachusetts, USA), Pepperdine University Law School (Malibu, California, USA), Centre for Energy, Petroleum and Mineral Law of the University of Dundee (Dundee, Scotland, UK), and the German Institution for Arbitration (Frankfurt/Cologne, Germany). It has also been endorsed by several respected institutions such as the International Center for the Settlement of Investment Disputes, the United Nations Commission on International Trade Law, the International Chamber of Commerce, as well as the British Institute of International and Comparative Law. The increase of international investment, proliferation of investment treaties, national investment promotion legislation and “internationalized” investment contracts have encouraged the rapid development of a new field of international law, which addresses the host States’ obligations towards foreign investors and regulates procedures to resolve related investment disputes. The competition is based on a hypothetical dispute arising out of an investment by a private investor in a foreign host state. The dispute itself involves a set of theoretical and practical procedural and substantive issues both in the sphere of arbitration adjudication and foreign investments. The ICC ADR Secretariat will organize during the course of the competition a training day for the professionals to share their experience and best practices with other professionals and students. Combining competition, sharing of best practices, learning and networking, this one-of-a-kind event gives participants a unique opportunity to participate in moot mediations, to explore cultural differences in international commercial mediation and to enjoy numerous social activities. The Philip C. Jessup International Moot Court Competition is the largest, oldest and most prestigious international moot court competition. The competition is administered by the International Law Students Association in affiliation with the American Bar Association Section on International Law and is sponsored by numerous international law firms. Teams from over 500 law schools located in more than 80 countries compete in Washington, D.C. at international rounds typically after a series of national or regional rounds. The competition focuses on the most important public international law issues of the day, argued before the International Court of Justice in The Hague, the primary judicial organ of the United Nations. The issues include problems of piracy, genocide, border disputes and maritime delineations, human rights, refugee issues, as well as military activities. The Air Law Moot Court Competition is organized annually by the International Institute of Air and Space Law at Leiden University. The university was founded in 1575 and is one of Europe’s leading international research universities and Europe’s top ranked Public Law University. The Institute itself was founded in 1985 and maintains close contacts with national and international organizations and undertakings worldwide. The Monroe E. Price International Media Law Moot Court Competition is held annually at Oxford University U.K., dating from 2008. This moot court is organized by the Programme in Comparative Media Law & Policy at the Centre for Socio-Legal Studies, part of the University’s Faculty of Law, in collaboration with the International Media Lawyers Association (IMLA). The purpose of the Price Moot Court Competition is to expand and stimulate an interest in Media Law and Policy among students from law and other disciplines, who will develop expertise in arguing a case before an international bench of judges from different legal systems and backgrounds. The international nature of this competition will encourage students to gain knowledge from legal systems different from their own by carrying out comparative study and research of regional and international standards to cultivate their arguments in both writing and oral forms. Big Deal is a competition in the field of corporate law organized by JPM Law Office. The purpose of this project is transfer of practical knowledge from the field of the corporate law to the students of the Law Schools in Serbia, through simulation of M&A transactions (merger/acquisition of companies). The concept of the Big Deal is to provide the students, apart from the opportunity to study the documentation of the company undergoing the M&A transaction, also with the opportunity to face the specific problems occurring within the companies and to try to solve them under almost real circumstances, such as, inter alia, participation in the negotiations on sale of a company. Such approach has ensured that students get the realistic idea on what they would be facing after they have completed their studies and decide whether they would like to direct their careers towards the corporate law. In order to make the situation as realistic as possible, the complete communication is in English. The traditional annual student oratory competition has become an event that attracts interest of the entire University and the general public. 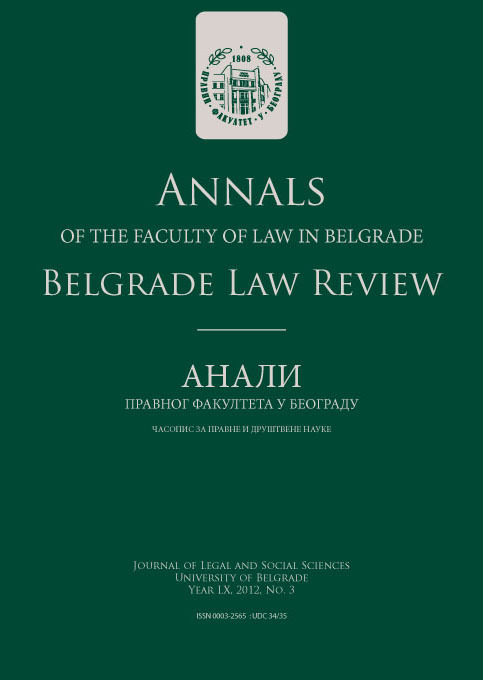 Following the example of the Faculty of Law in Belgrade, a number of other faculties organize their own competitions, the winners of which participate in the Serbian universities wide finals.